10. Rookies prone to motion-sickness ride Tower of Terror. During the Golden Age of Hollywood, the Hollywood Tower Hotel which sits on Sunset Boulevard at Disney’s Hollywood Studios, was a place where Hollywood’s elite could get away from it all. But on October 31, 1939, a freak storm struck the hotel. Five guests of the hotel who were in an elevator at the hotel vanished, and to this day, they have yet to be heard from. The once-glorious hotel closed its doors forever, but Guests are invited to come in for a tour of the hotel. 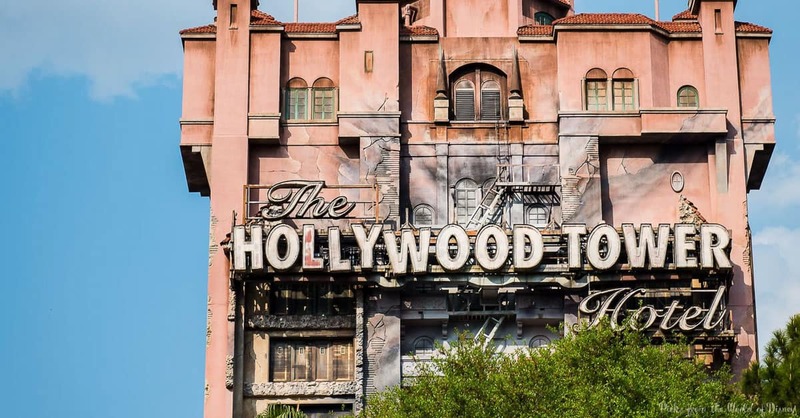 The ride has Guests in an elevator car that drops repeatedly down the elevator shaft—sometimes dropping 20 feet, and sometimes 50 feet or more. You never know how far you’ll fall. And while this attraction is a fan favorite at Disney World, it doesn’t bode well for Guests who frequently suffer from motion sickness. Disney World Rookies don’t know this, and they pile the whole family into the elevator car for a rip-roaring time. And they have a rip-roaring time, except for Junior and Grandmother who both suffer from motion sickness, and they are queasy and nauseated for an hour afterward. Don’t be a rookie—if you want to experience the ride, by all means, do so, but let Junior and Grandmother sit it out or enjoy another attraction while the rest of the family does Tower of Terror. You’ll all be happier in the end!